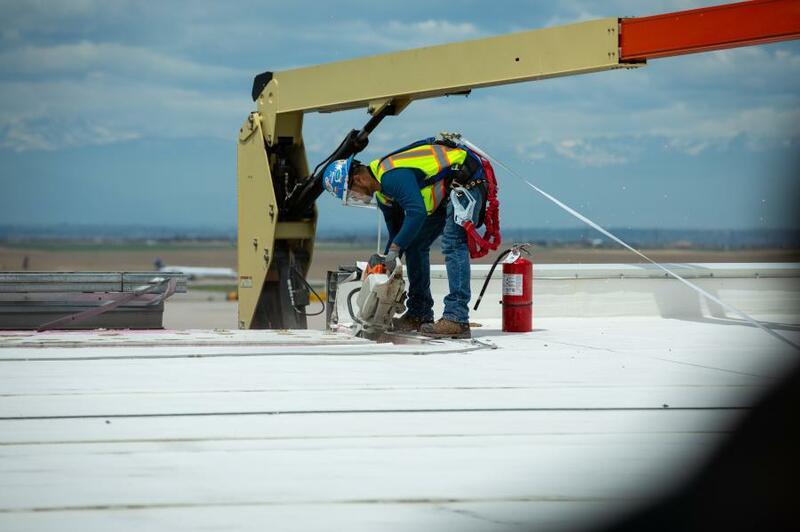 As the nation's fifth-busiest airport, Denver International Airport (DEN) is in critical need of more space. Construction crews are currently on site laying the groundwork for a $1.5 billion gate expansion project that comes not a moment too soon. "The airport was originally designed for 50 million annual passengers, and last year we surpassed 61 million" said Mark Adams, senior director of development at DEN. "We've made adaptations over the years to make the flow more efficient, but now we have exhausted those opportunities, and it's time to grow." Adams said conditions are right for performing the work, which is long overdue. "We have [more than] 100 contact gates that are all leased or fully utilized. We don't see any near-term change in the growth trend, and we need to be able to accommodate the asks and needs of our airline partners. We also have seen double digit growth in our international routes and passenger counts. This expansion will provide additional international capable gates to facilitate that growth trend." Making the expansion a reality involved a great deal of preparation. "We have been planning and building the business case for this expansion program for the last three years. The beauty of having 53 square miles and a highly-detailed airport master plan is that we have plenty of different scenarios to solve our growth opportunities. We studied multiple scenarios and then met with our airline partners to review their growth needs. The request and commitment from our partners is what helped us hone in on our target of 39 gates. 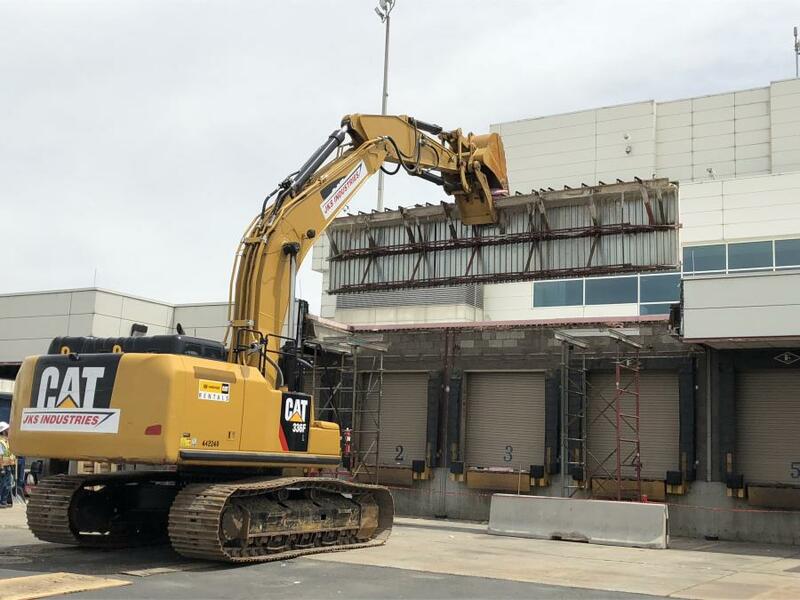 "The majority of the 39-gate expansion is really about future growth, but we do have some areas at the very end of the concourses where the ratio of gates to holdroom capacity is below where we want our level of service," said Adams. "These expansions will right size those holdroom spaces and bring up that level of service for the passenger. The other area of congestion the expansion will resolve is less noticeable to the passengers, but a big difference for our airfield OPS team, and that's the international gates." The airport's international capabilities on Fridays and Saturdays are full, and gating arriving aircraft can be a challenge. The expansion will provide gates for five more wide-body international aircraft or ten more narrow-body international aircraft. Doing so will alleviate the current gating challenge and provide additional space for rapidly growth international service. Adams noted that the work is being performed as separate projects. "Our three concourses have the ability to telescope out in both the east and west direction. We will be extending four of the six ends of our concourses simultaneously. B-West, the smallest, is a four-gate build. B-East is next with a seven-gate build. A-West is a twelve gate build and C-East is a sixteen-gate build. "We don't expect these expansions to be a large departure from our current concourses, but there will be changes in the passenger experience. First, the concourse will seem more open and have considerably more natural light. Each end of the expansion will have an outdoor patio experience where travelers can step outside and view the Rocky Mountains to the west. We will be adding additional new concessions opportunities, more family restrooms, nursing mothers' rooms and additional pet relief rooms. The concourses are wider than our existing concourses, allowing us bigger holdrooms and the opportunity for different kinds of seating that will have 100 percent electrical connectivity for charging devices." According to Adams, the biggest challenges regarding the project involve resources. "Denver is booming right now, and there are a plethora of multi-billion dollar projects going on in the region. The aviation industry is also booming with huge capital projects going on at all the major hubs. It will be a challenge to fill all of the crafts, materials, leadership and design needs of this program. We are doing multiple outreach events to the contracting community trying to gain interest in working at the airport. We are doing national and international searches for the right leadership of this program." Preconstruction work kicked off in May 2018, with large-scale construction beginning this past fall. 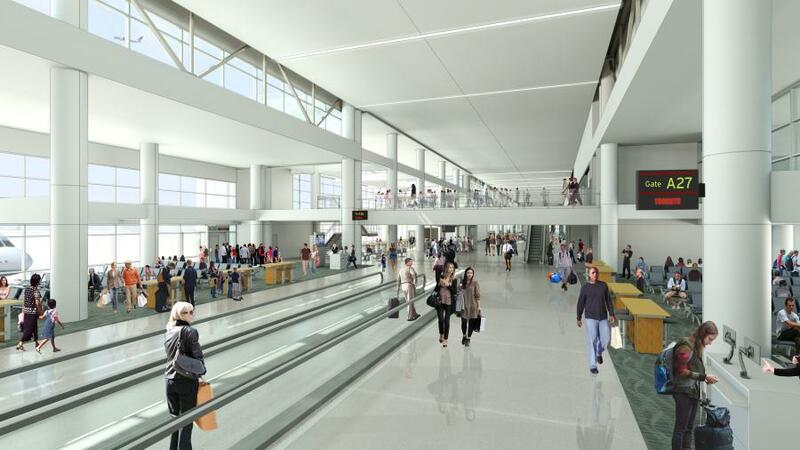 Concourse B-West will be the first gates to open in 2020. The other three concourse expansions open in 2021. Adams said weather has not be a major factor, so far. "We are lucky living in Colorado, which gets [more than] 300 days of sunshine a year. We do have our spats of cold and snowy weather, but we also have some very mild temperatures through the winter. We have been able to work through the winter seasons for the last two years. Also, Denver is a very dry climate compared to many other locations. Our summer rain storms can be intense. but most times brief. Because we have such low humidity, our recovery times for construction project after a rain storm is very short." The condition of the site prior to construction was green fields. Three of the four ends have no obstructions in the way of progress. B-East will be tearing down the existing north-finger of the commuter facility to make way for the new seven-gate expansion. As for the chief concerns while performing construction at such a busy airport, "This will add a lot of pressure to the airfield," said Adams. "All four expansions are inside the fence, and you have to cross large sections of the airfield to get to the concourses. At the height of construction, we could have 1200 to 1400 tradesmen going in and out of the secured perimeter every day. Deliveries will be almost a constant flow or trucks. "In addition, we are not the only large program going on at the airport. The Great Hall project will be happening simultaneously, as well as DEN's normal capital facility and infrastructure projects. The airport will be seeing record number of passengers, along with the most construction we have ever performed since the airport was built." Regarding excavation work, "Fortunately for DEN, we have 53 square miles of real-estate and a master plan that helps guide us on where to build next. The expansion program will have a large quantity of export and it is our mission to make good use of that export. We have identified multiple future sites that need imported materials. Since we are paying to handle the soils now, we want to place it where it gives us future development benefits." The basement excavations alone will generate between 450,000 and 500,000 cu. yds. of export materials. The whole expansion program is estimated to have approximately 700,000 cu. yds. of export. The substructure will consist of concrete, while the superstructure will be a combination of steel frame and cast in place floors. The rest of the building materials are still being determined, as is the heavy equipment that will be required. Adams said the most time-consuming part of the project will involve stakeholder engagement. "Both internal and external. The success of this job rides on all the right people in the right conversations, at all the right times." Denver Mayor Michael B. Hancock and airport CEO Kim Day joined airline partners to celebrate the official groundbreaking of the gate expansion project. "The airport has experienced a tremendous increase in passengers, setting yet another record over the past year," said Hancock. "This is Colorado's No. 1 economic engine and we have worked hard to make it stronger by adding 11 new airlines; 13 new international destinations; and 28 new domestic destinations since 2011. Today, the airport's success is outgrowing the building and the enhanced capacity that comes with these new gates will allow for more flights, more destinations and more options for those traveling to and from Denver, all of which keeps Colorado's economy strong." 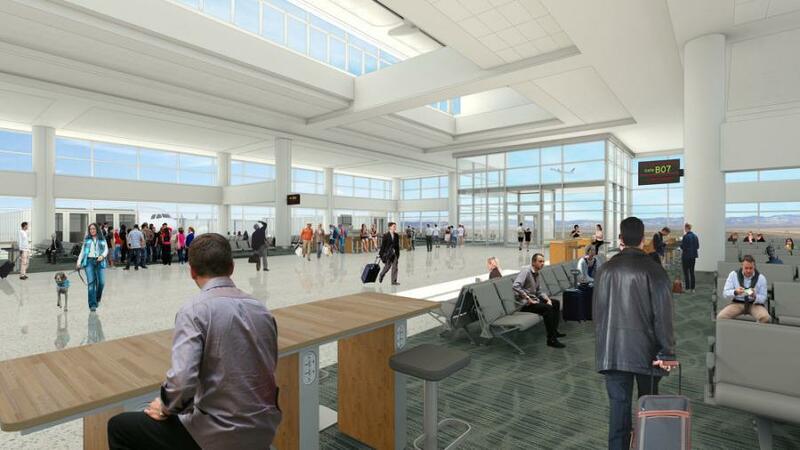 The new gates will be added to the end of each concourse, providing all of DEN's airlines an opportunity to grow and for DEN to accommodate new airlines, including international carriers. "The new gates are one of several major projects in our $3.5 billion five-year capital improvement program that will prepare DEN for the future," said Day. "We will not only increase capacity, but we will add more passenger amenities including food and shopping, charging stations and even outdoor space, where you can enjoy Colorado's beautiful weather and scenery." The gate expansion project is being managed by two joint-ventures. 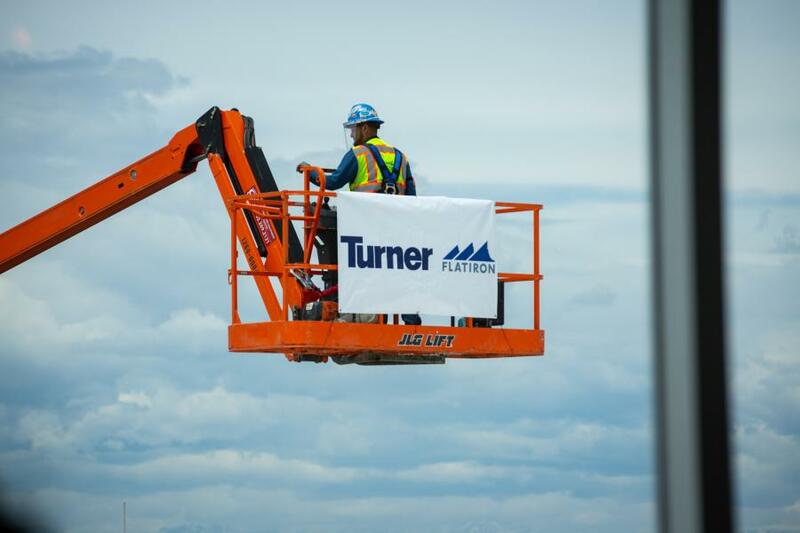 Holder Construction and FCI Constructors Inc. will be working on Concourse B-East and Concourse C-East, with Turner Construction and Flatiron Construction overseeing Concourse A-West and Concourse B-West. HNTB Corp. and Jacobs Engineering Group were selected for architectural and design services. DEN is one of the busiest airline hubs in the world's largest aviation market. It is the primary economic engine for the state of Colorado, generating more than $26 billion for the region annually.